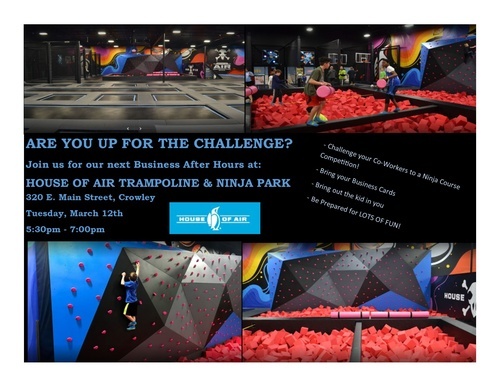 Bring out the kid in you and join us for our next Business After Hours at HOUSE OF AIR! Challenge your Co-Workers to a Ninja Course Competition and may the BEST employee win! !